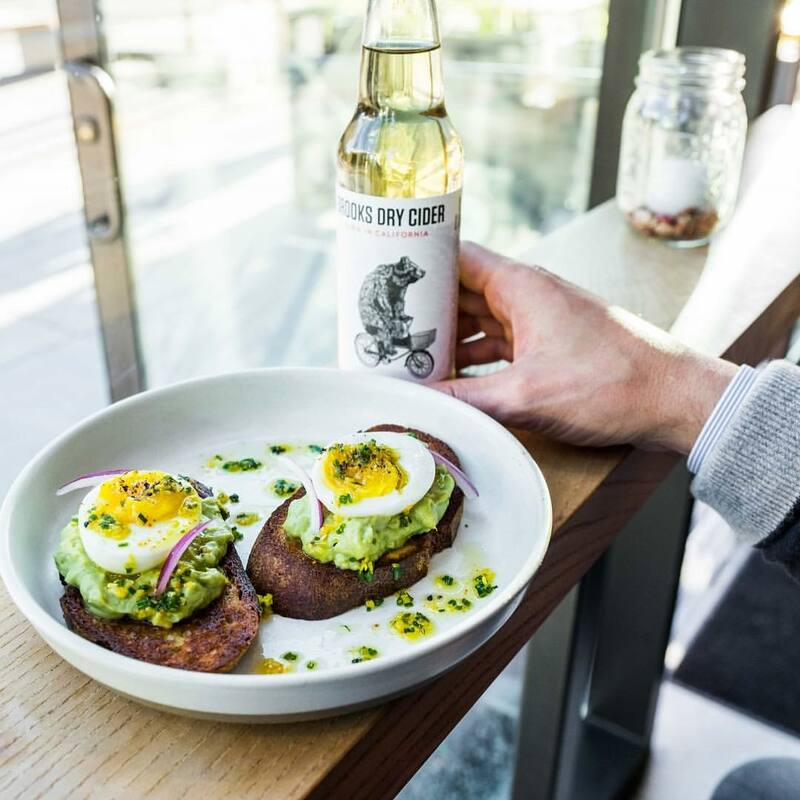 San Francisco is constantly updating its food scene, especially since eating delicious healthy food is one of the things we do best. We’re not only experts when it comes to the salad bar (although, we definitely are), but we also have a myriad of restaurants making amazing dishes that range from comfort foods to desserts. And the best part is those noms can be modified for every diet and optimized to be especially good for you (and satisfy your cravings). So, check out our top healthy faves in the city right now. 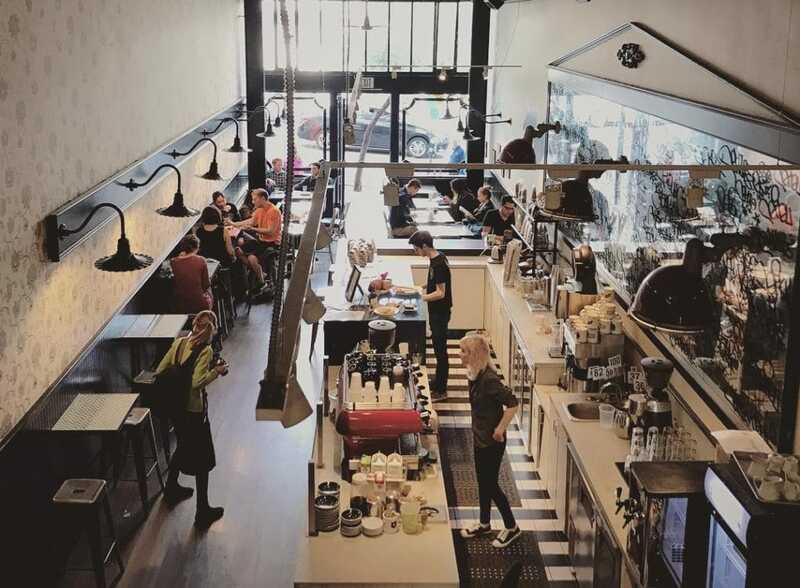 The Jane operation in SF stems from their bakery in Japantown and has expanded to two cafe locations (Larkin and Fillmore) that both offer up amazing coffee, and super-satisfying bowls and toast. Hit the refresh button with a Super Super Healthy salad bowl and a Tasty Turmeric Tonic. If you wanna get even spicier, try their house-made chai paired with literally anything in the pastry case. Just know that this place might be one of the most popular spots for a Saturday morning pick-me-up in SF, so plan accordingly! 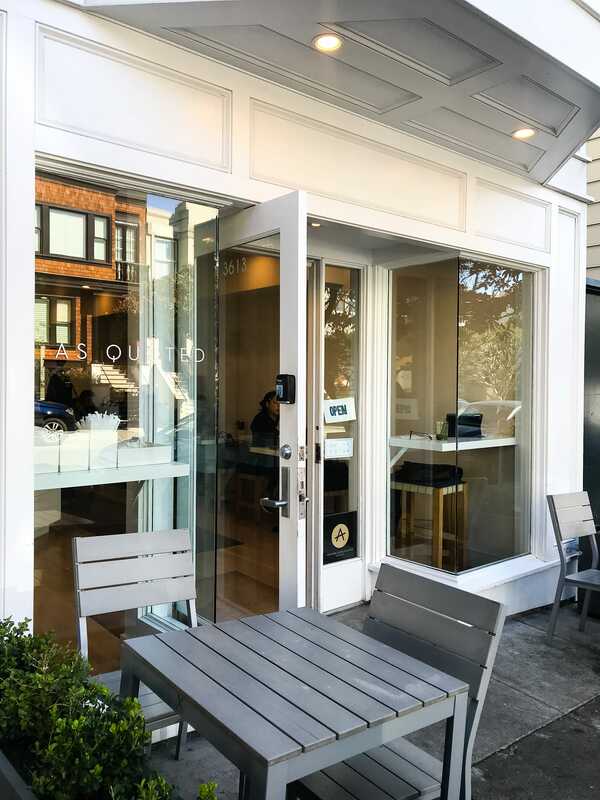 Another spot doing healthy right, this Hayes Valley eatery stays away from gluten, dairy, and refined sugar in each and every one of their homemade offerings. The beef brisket and bibimbap are especially good lunch choices, although the Farmers Toast is not to be missed. But what we like the most about this place (aside from the food, of course) is that they work with farmers and local artisans to ensure every ingredient used in their food is naturally raised and responsibly sourced. 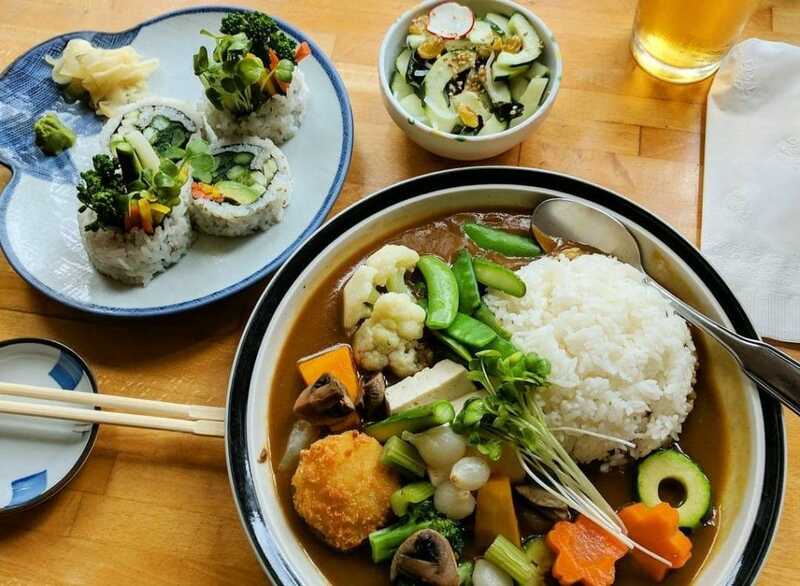 This all-vegan and vegetarian Japanese spot is a Mission favorite defying tradition with delectable salads, small plates, and perfectly-cooked tempura. Also awesome? Sushi rolls packed with all your favorite veggies and topped in homemade ginger-soy glaze. 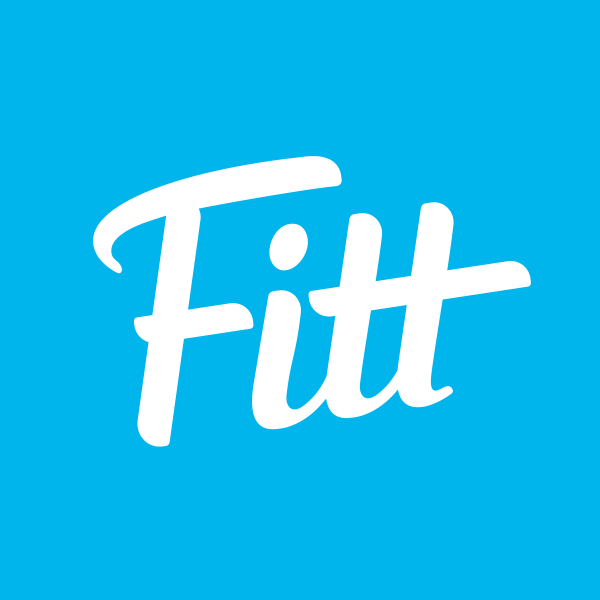 Fitt Tip: Cha-Ya is cash only, so plan accordingly. Plant-based and Mexican-inspired, these bowls and entrées are easily as good as your favorite burrito go-to (but way healthier). 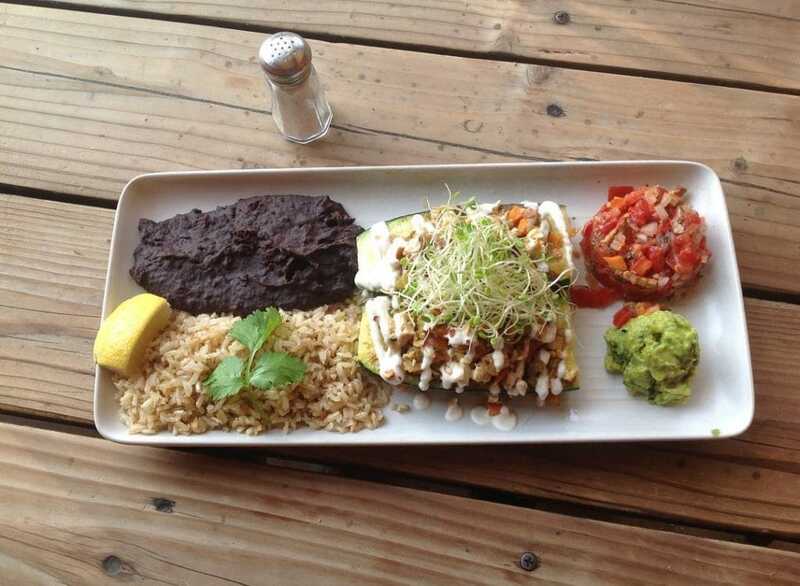 Enchiladas, flautas, and tacos of the vegan variety can all be found in this cozy Mission restaurant. Pair your handheld with a glass of crisp white wine or a margarita and have yourself a MEAL. 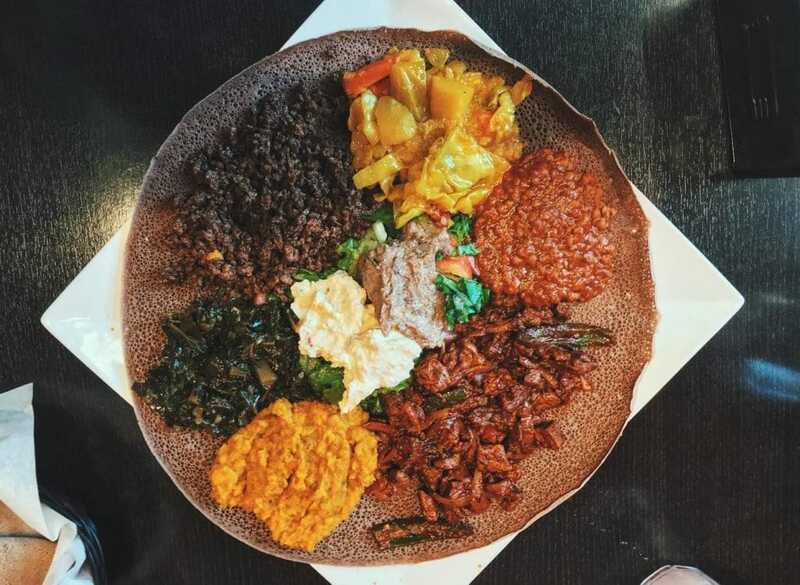 If you’ve acquired the taste for Injera (Ethiopian sourdough flatbread), it’s probably time you tried out Tadu in Mission or Tenderloin. Accompanying all the traditional veggie-based plates, this restaurant also has chicken and beef entrées that cater to your preferred spiciness. If it’s your first time, start with a classic Misir Wot dish, and get ready to ditch the utensils in favor of scooping up bites with the bread. It’s perfect for an interesting (and healthy!) dinner date. Simply put, these sandos are amazing. Made with a global menu in mind, and crafted from locally-sourced ingredients, you can find both veggie and meat options at Homegrown in the Financial District. Interested in a gluten-free sandwich? No problem. This place has pretty much every variety of fresh and healthy bread that a San Franciscan could ask for. 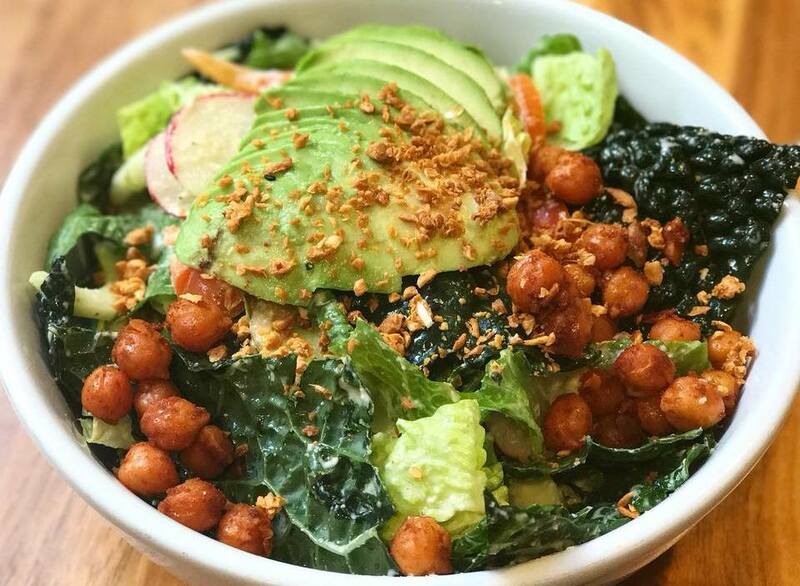 This much-loved vegan chain has finally made it to SF and has two locations, with one in the Sunset and one downtown. Although every location has a slightly different menu, suffice it to say they bring a huge amount of variety to plant-based plates. 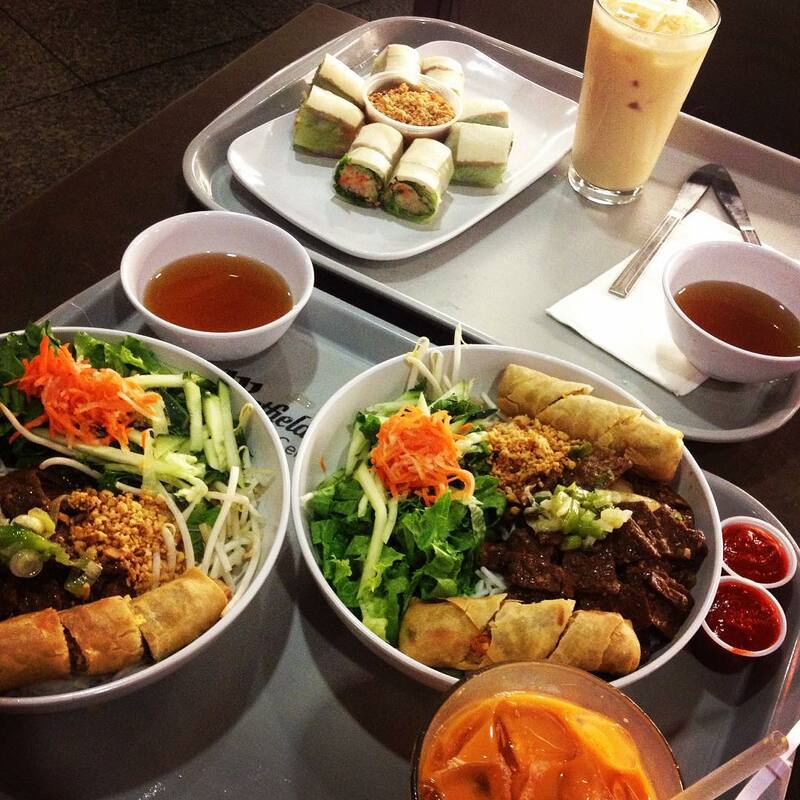 From soups to bowls and larger plates, it’s impossible to get bored with a spread like this. This Instagram-worthy lunch spot in Presidio Heights is a perfect antidote to all of your needs. Their extremely simple, white decor is complemented by craft coffee, a wide array of toast (The Breakfast is a Fitt fave), and greens galore. It’s exactly what you need for an out-of-office lunch meeting or afternoon boost. 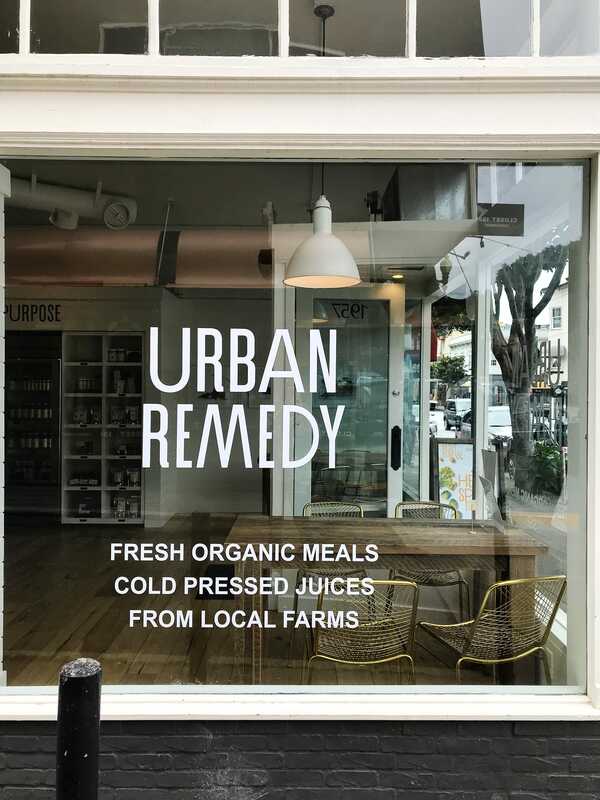 Urban Remedy is a Bay Area staple with it’s growing list of locations, from Berkeley to Los Gatos and Hayes Valley. Their motto, “Food is Healing”, can be found in every aspect of their business with their wellness shots, their pick-up-and-go meals (especially the Zen Salad… just get it), and all-around feel-good vibes. Stop in to one of their spots in between meetings or get it delivered to the comfort of your home. 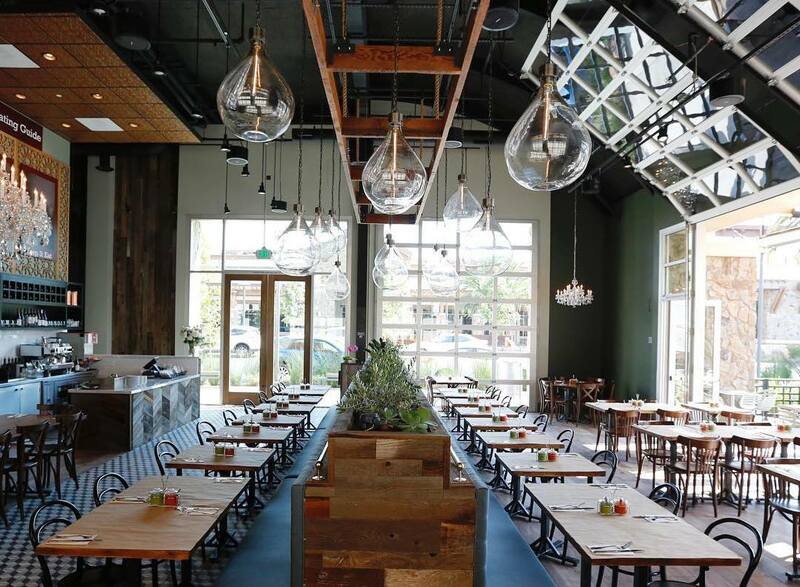 This SF-based restaurant group boasts all of your favorite things when looking for a healthy meal: 100% organic foods, locally-sourced ingredients, and everything is made right in their kitchens… so no sneaky add-ins. Oh, and the best part? 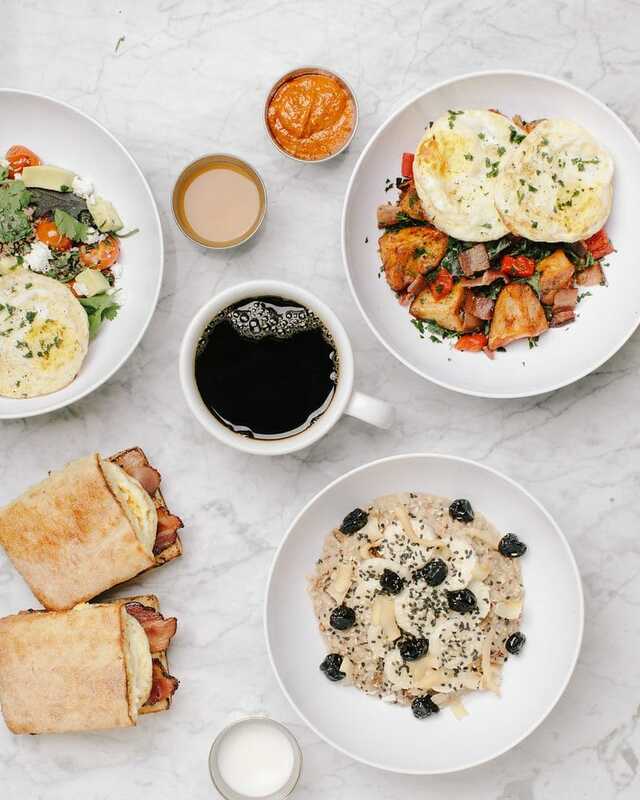 The Plant Cafe Organic doesn’t skimp on indulgent foods either — check out their Breakfast Burrito or Crispy Chicken Burger at any of their multiple Bay Area locations. It’s a meal made for everyone. Because of course the city’s best salad places makes our list. But this fast-casual eatery is more than just pretty greens. Serving up seasonal grain bowls, awesome sandwiches, and so many fresh choices you’ll be more than a little overwhelmed, this joint is an easy choice for healthy eats. 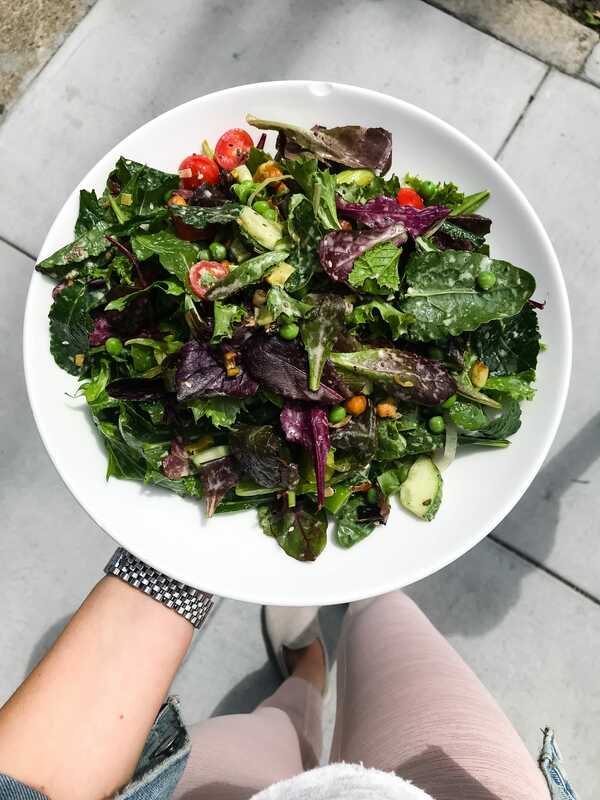 It also doesn’t hurt that they have locations scattered across the city (including their Mission ‘Salad Lounge’ location), so you’re never too far from the salad bar of your dreams. 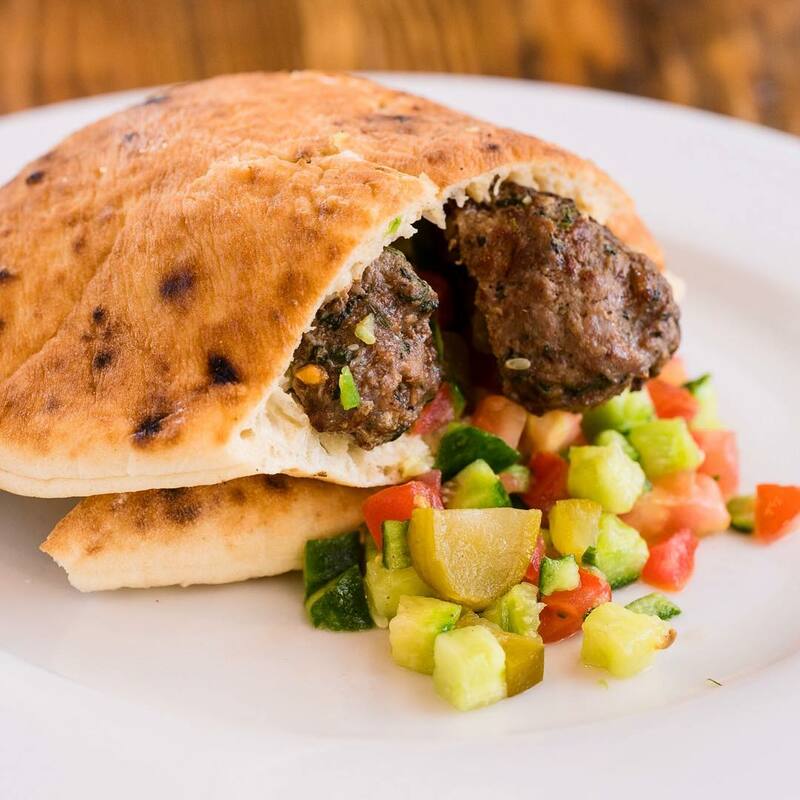 We know, we know — hummus is an easy “healthy food” example, but this fast-casual chain in SoMa will make you rethink everything you thought you knew about Mediterranean food. Beyond just hummus and pita (or gluten-free pita, if that’s more your vibe), they have healthy lunch and dinner options like grilled veggie and chicken skewers, huge Greek salads, and green shakshuka. 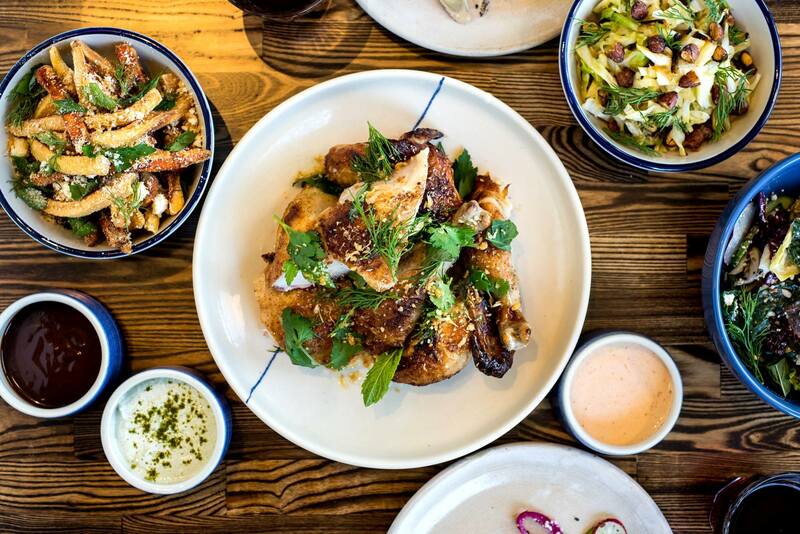 Don’t sleep on this rotisserie-centric offshoot from the folks at Rich Table — it’s a healthy, and extremely reasonably priced, go-to in Hayes Valley. Their rotisserie chicken or cauliflower mains are complemented by rotating seasonal veggies, including a cabbage slaw, seared broccoli, and maybe the best Brussels in the city. They do a mean takeout or delivery, too, if you’re in the mood to eat without having to get out of your workout clothes or pajamas. 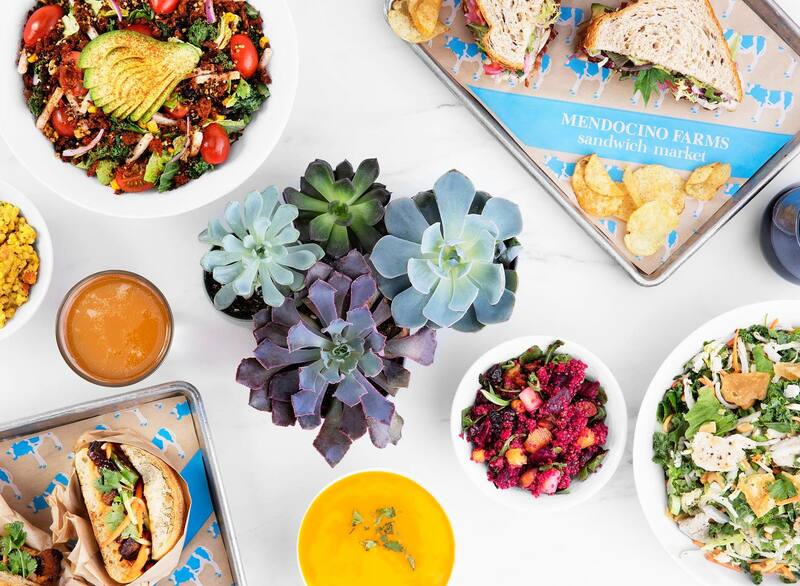 One of the healthiest SoCal staples has found a home in SF on California St. Mendocino Farms works with local farmers and producers to serve up some of the freshest ingredients in the Bay Area. The best part? A large handful of their sandwiches and salads can be requested gluten-free. Dare we say Blue Barn has THE best salads in the city? 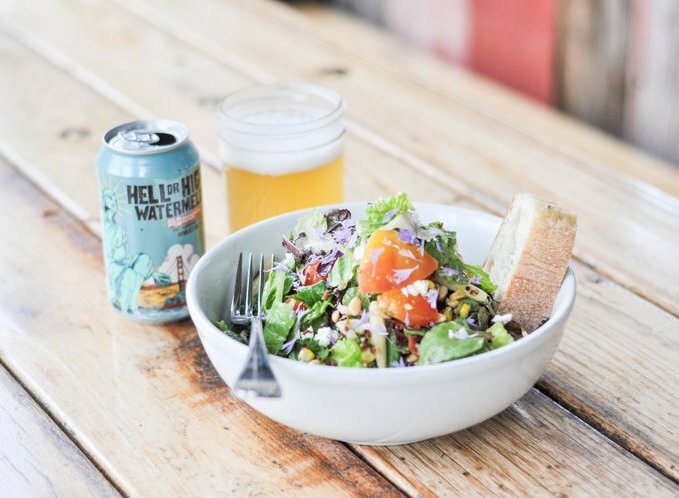 Well, we’re going to say it — this Marina and Polk St. staple offers some of the tastiest chef-made salads, including a seasonal special, make-your-own salads, and yummy sandwiches in SF. Our go-to is The Buddha sandwich, full of roasted broccoli and butternut squash, and topped with a creamy hummus and spicy chili oil.